Erase summer sins on your skin with tone correctors from Aveeno, Neutrogena, Smashbox and protection from Avene! Aveeno Positively Radiant Targeted Tone Corrector - 32ml - $24.99 - with an oil-free and hypoallergenic formula that combines the power of Active Naturals Total Soy Complex and Vitamin A to help even out skin tone, moisturize, improve texture and fade the look of dark spots to leave skin healthier looking, brighter and more radiant. This is a great choice if you have oily to combination skin and don't want to use an extra product - this will also serve as a moisturizer! Neutrogena Rapid Tone Repair Dark Spot Corrector Serum - 29ml - $29.99 - with an exclusive formula that is gentle enough to use everyday and contains Neutrogena's highest concentrations of Accelerated Retinol SA with Glucose Complex and Hyaluronic Acid, as well as Vitamin C which is clinically proven to: diminish the look of stubborn dark spots and discolouration in just one week; instantly brighten skin tone and improve clarity and radiance; and instantly smooth skin. This is a great choice if you have a moisturizer that you already love and don't want to give up - you can layer this right under your regular moisturizer! Can also be used as a stand-alone product for oily skinned girls, for combo skin you will probably need an additional moisturizer in any dry areas. Smashbox Photo Finish More Than Primer Dark Spot Correcting - 30ml - $50 - with a revolutionary formula that not only visibly reduces the appearance of lines and pores while creating the perfect canvas, it helps diminish the appearance of dark spots and uneven skintone. This formula instantly brightens and primes to smooth the appearance of fine lines and pores, while also fading dark spots over time. Available at Shoppers Drug Mart, Murale and Sephora. And don't forget that even during the less sunny fall and winter days, the sun will still cause the dark spots to reappear undoing all your hard work so be sure to still wear your protection! 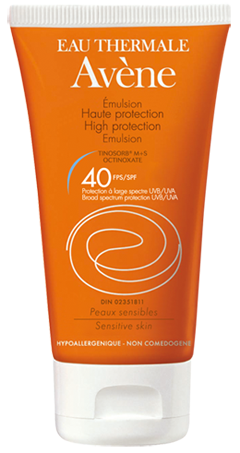 Avene High Protection Emulsion SPF 40 - 50ml - $23 - offers photo-stable, broad spectrum protection and is rich in Avene Thermal Spring Water, known for its soothing and softening properties. I especially like the emulsion formula for layering over other products, it's lightweight, non-greasy and invisible on the skin so you don't feel like you're adding an extra layer - it just feels like nothing!